In 2017, Oriflame celebrates its 50th anniversary! Since 1967, Oriflame has helped people to be and feel beautiful and to live better. Oriflame started with a dream. Two Swedish brothers and a friend had the opportunity to work wherever they wanted. Oriflame began with the dream of two Swedish brothers, Jonas and Robert af Jochnick, and a friend, Bengt Hellsten, to offer everyone the opportunity to enjoy high quality face care and make-up , inspired by the natural and distinct beauty Of Sweden. Together, they wanted to build their business by helping others develop their own businesses by selling Oriflame products directly and by inviting others to join them. Today, it is a very successful business, operating in more than 60 markets around the world – helping people realize their dreams every day. 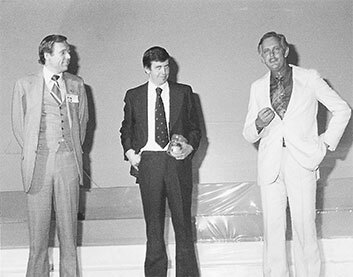 Jonas and Robert af Jochnick founded Oriflame together with Bengt Hellsten in 1967. They all left their jobs to start their own business with the vision of setting up a direct sales company of Swedish natural cosmetics. The first things to do were to choose a name for the company, create a product line, and recruit a sales force. At that time, the distribution center as we know it today was not financially possible. At the beginning, the picking was done in the basement of Hotel Scandinavia, where there was a table tennis room that served as a warehouse and picking area – and of course a quick game every now and then! An important part of Oriflame’s foundation was to enable people to build their own businesses and fulfill their dreams. To this end, the founders developed a unique direct selling method, where trained advisors would take products directly to consumers’ homes. The advisors signed up, paying a symbolic fee, without any risk, but with a strong partnership with Oriflame, based on trust, honesty and family values. With this method, Oriflame became an important social function and a community where people could join and have fun. Instead of selling through group demonstrations, Oriflame tried new ways and focused on catalogue selling and one-to-one. In August, Oriflame printed its first catalog consisting of a product page, created by Robert, and printed 1000 copies. Launched in the early 70’s as eye cream, its effectiveness in all areas of dry skin has made it into the appreciated multi-use balm known today. The Royal Jelly is Oriflame’s best selling product, surpassing 40 million units sold! 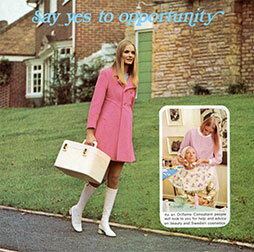 After a few financially difficult years in the early 1970s, the business started growing in 1976, when Oriflame registered a volume of 10 million American Dollars. Oriflame was growing and to gain control over production, quality and deliveries, as well as reducing reliance on suppliers, Jonas and Robert built the first Oriflame factory in Dublin, Ireland. This enabled a greater focus on the development of formulas, with proven efficacy, based on the use of natural and safe ingredients. In 1976, Giordani Gold was born, a range inspired by the energy, passion and timeless style of Italian life. 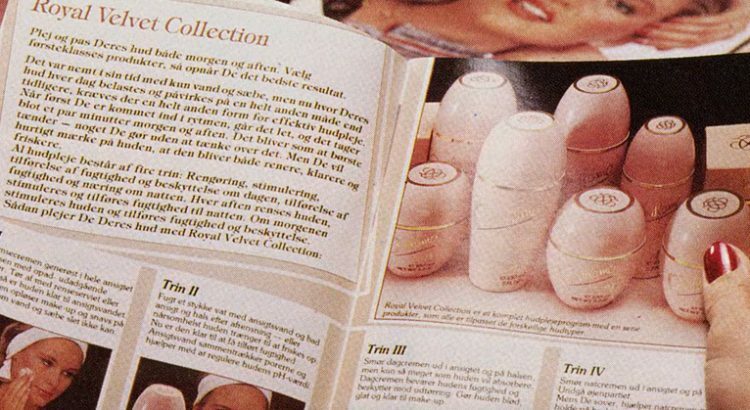 Since the early 1980s, Oriflame has introduced the Swedish direct-selling form in other markets. The method was based on a wider product portfolio and on using the catalogue as an important sales tool. Oriflame is listed on the London Stock Exchange, being the first foreign company since World War II. Oriflame acquires Swedish gold and silver jewelery Guldfynd, followed in 1987 by acquisitions of goldsmiths Goldsmiths and Swedish Hallbergs. Oriflame sold them later when the decision was made to stay focused on the core business. The collapse of Communism in Central and Eastern Europe opened up a whole new market. Jonas and Robert saw the immense potential of a poorly served market, as well as the large number of talented and well-formed people who had to seek a new form of income and build a future.In some of these countries, we were the first company to present free enterprise – at least for “ordinary” women – and since then we have created job opportunities for thousands of women in Central and Eastern Europe. In the late 1980s, the dream of having your own business with unlimited earnings and personal growth opportunity gained a bit of importance all over the world. Encouraged and inspired by the rapid growth of network marketing in the United States and the Asia-Pacific region, Oriflame took the next step in defining a dynamic reward plan called the Success Plan. In 1990, Oriflame was already an established and reputable company with sales of SEK 1.3 billion. During the 1990s, Oriflame grew exponentially, but it also encountered challenges such as the Russian crisis and the collapse of the ruble in 1998. Oriflame has acquired ACO, a Swedish brand of pharmaceuticals, and Fleur de Santé, a Scandinavian brand of beauty products. In the mid-1990s, Oriflame had the opportunity to offer their products as prizes on a popular television program in Russia, which really helped build the brand in this region. 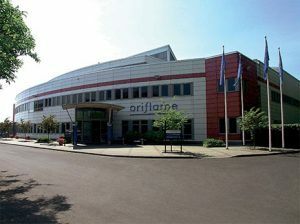 Due to its expansion and growth, Oriflame closed its factory in Dublin and transferred production to Warsaw and Delhi. Oriflame launches its first global page “Oriflame.com”. The World Childhood Foundation was founded by Her Majesty Queen Silvia and co-founded by Oriflame. Its action is aimed at the support of marginalized, forgotten and ignored children, especially girls. The main target groups are street children, institutionalized children, young mothers and children victims of sexual abuse. Oriflame celebrates 10 years of success in Russia, bringing together 5,500 consultants to the Kremlin Palace. In September 2006, Oriflame finally received a license to sell in China, becoming the first European direct selling company allowed to sell cosmetics in this country. In 2007, Oriflame consolidates some of its European offices at a Group Office in Stockholm, and achieves a record turnover of € 1 billion. 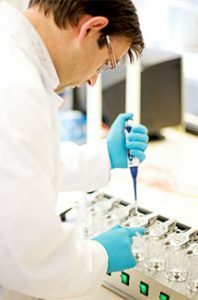 In 2008, we opened our state-of-the-art Research and Development Center (R & D), which included a clinical testing site – Oriderm – where our products are tested on real people for real results. Our Skin Research Institute was officially opened in Stockholm. In Stockholm, our specialists work on research projects whose goal is to develop new technologies unique to Oriflame, especially for our high quality face care category. These long-term projects (3 to 7 years) are elaborated at the cellular / biological level. Oriflame supports the world-wide figure of tennis, Caroline Wozniacki, like its first ambassador for the charity. Cooperation began in Istanbul Turkey, where Caroline visited the Educational Volunteer Foundation. Oriflame became the Official Cosmetic Sponsor of WTA (womens professional tennis) and obtained large-scale media exposure. Wonderlash Eyelash Mask and Pure Color Lipstick are the best-selling mask and lipstick in Russia. Looking at the year 2011, these were the top selling products throughout the makeup industry within its segments. Oriflame celebrates 45 years of dream fulfillment all over the world. For 45 years, Oriflame has remained true to its original concept of beauty products, inspired by Swedish nature and entrepreneurial culture. Today, Oriflame is a direct-selling beauty company with steady growth, on four continents. To celebrate 45 years of achievement worldwide, Oriflame has launched a unique and luxurious range of cosmetics in collaboration with Demi Moore, giving women one more reason to feel capable of beating the world. The range is called More by Demi . In 2012, Oriflame launched Ecobeauty . A product line of several categories, pioneering and environmentally friendly. The first was approved by four independent bodies: Fairtrade, Ecocert, the Vegan Society and the Forest Stewardship Council (FSC). It was the first global company to be certified by Fairtrade. By 2015, NovAge and the Daily Face Care Routine are launched, delivering a powerful antiaging solution powered by revolutionary technologies designed to combat specific aging signs. In 2017, Oriflame will celebrate its 50th Anniversary. In this significant milestone, we will celebrate much more than just 50 years as a company. We will celebrate 50 years of Union, Spirit and Passion … 50 years of beauty and innovation … 50 years to improve people’s lives and realize dreams. And we will celebrate this together at the 50th Anniversary Jubilee Conference. The celebration continues! 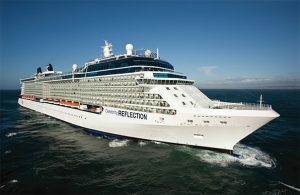 The 50th Anniversary Global Cruise will be an extraordinary conference – the largest and most spectacular Oriflame conference ever. Two top cruise ships – exclusively for Oriflame – will sail together in the Mediterranean, passing on 2 continents, 3 countries and 4 cities. In addition, we will mark the 50th anniversary in Athens, Greece where we will celebrate our partnership with our Oriflame Leaders.